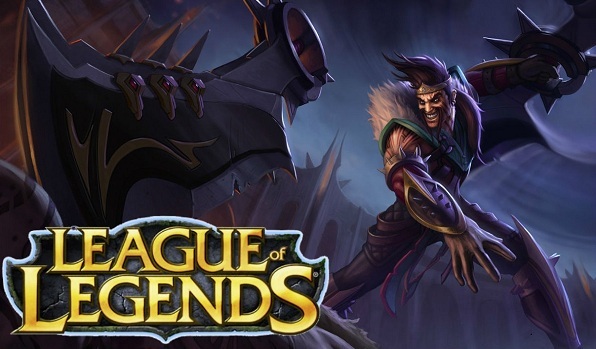 League of Legends release their latest patch yesterday which is featuring a new champion called Draven. League of Legends adds a supreme battle and also icing on the cake they put his new skin in the store. The complete name of this champion is “Draven, The Executioner”. League of Legends are keen to make some promising changes in the near future. So check the latest changelogs below..
Wicked Blades (Passive) -Draven’s Critical Strikes deal bonus physical damage over time. Spinning Axe also causes this effect even if it does not Critically Strike. Spinning Axe – Draven’s next attack will deal bonus physical damage. This axe will ricochet off the target high up into the air. If Draven catches it, he automatically readies another Spinning Axe. Draven can have two Spinning Axes at once. Blood Rush – Draven gains increased Movement Speed and Attack Speed. The Movement Speed bonus decreases rapidly over its duration. Catching a Spinning Axe will refresh the cooldown of Blood Rush. Stand Aside – Draven deals physical damage by throwing his axes, knocking aside and slowing his targets. Whirling Death (Ultimate) – Draven hurls two massive axes dealing physical damage to each unit struck. Whirling Death slowly reverses direction and returns to Draven after striking an enemy champion. Draven may also activate this ability while the axes are in the flight to cause it to return early. Deals less damage for each unit it hits and resets when the axes reverse direction. We hope fans will enjoy playing with this new champion. So folks have fun and keep coming here to check the latest updates of your favorite game.